In the top of the seventh inning, with Tampa Bay still leading, 7-0, Rick Melanson of Gardner stepped up and got the fans out of their seats along the left-field line. 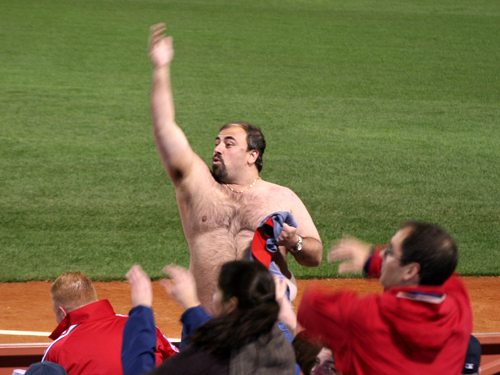 Melanson went shirtless a couple of times during the game in an effort to get some crowd noise behind the Sox . . .